.308-Boltface Rem 700 Actions at Bruno's for $425.00. 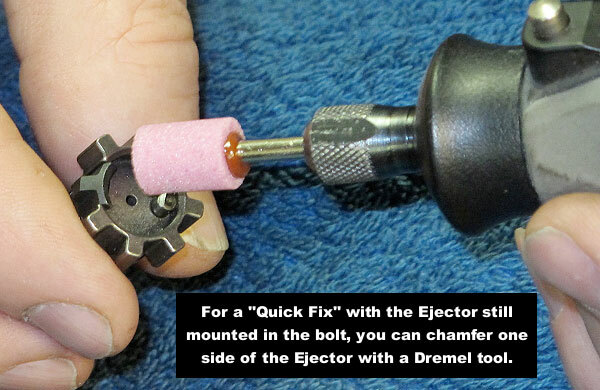 Why show the hack dremel tool method? What you did not tell readers is that one nick on the bolt face and it is junk. 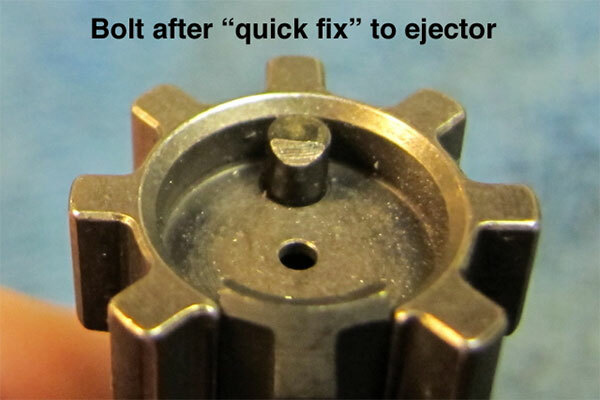 You should have shown one of the many bolt fixture tools that help to remove the ejector pin. 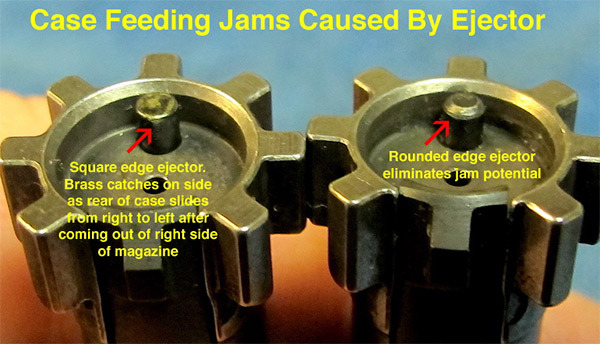 Anyone that owns an AR should own an ejector pin removal fixture to properly disasemble the bolt for cleaning. Thank you very much. I had this exact problem about every 3rd round on a 6.8 SPC. It did fix the problem. I am really grateful for this post! Excellent post! This fixed the problem with a 6br we having issues with as well as 6 grendel wildcat. The dremel fix works well. Yes I took it out to do but have used scared bolt faces in AR`s without issue as well. Just what I need, grinding dust in my ejector channel, extractor pocket, and firing pin channel. Take the bolt apart to do this and clean it while you’re at it.Good time to lightly stone the edges of the extractor pocket to get the “sharpies” off too. A thin, pointed stone is needed for the ejector pocket.